Dr. David Lach is the owner /operator of Lach Orthodontic Specialists in the Orlando and Oviedo, FL areas or Central Florida. He is a top graduate of the University of North Carolina at Chapel Hill School of Dentistry widely known for its excellence nationally and internationally in dental education and training. Dr. Lach is a former Division I collegiate and semi professional soccer player. While at the University of North Carolina, he earned a Doctorate in Dental Surgery (DDS) degree and later completed a Master’s thesis and degree (MS) in Oral Biology at University of Louisville School of Dentistry. While at Louisville, he did his thesis on how computers can predict changes following orthodontic treatment. Dr. Lach was an associate for nine months in Raleigh, NC. 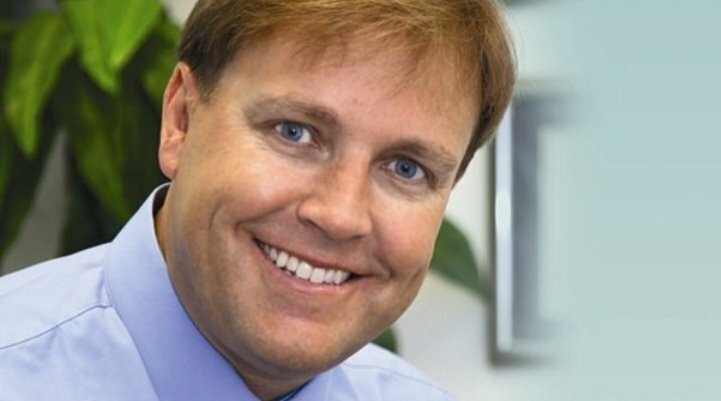 He opened his own practice, Lach Orthodontic Specialists in Orlando in 1992 and since then, has successfully treated nearly 20,000 patients. He is married with three children, Grant, Bryce and Emmy and they have two dogs, a golden retriever named Sanford and a Jack Russel terrier named Betsy. He enjoys outdoor activities with his family, including boating, jet skiing, soccer and golf and spending time at the beach. Why did you choose to become a dental surgeon? Orthodontics is a combination of medicine, engineering, and form of art. As a small business owner I enjoy all of these. I like the artistic sense of creating beautiful smiles, the engineering process of moving teeth and applying computer technology and the medical part of treating and improving my patients health and self esteem. The amazing health care field of orthodontics allows the best of both worlds, mostly everyone sees improvement and patients are motivated to visibly see incremental smile improvement. It’s very rewarding working with the younger population, helping them to improve their smiles, which will last a lifetime with good retainer wear. We specialize in children and adult orthodontics, structural jaw issues, alignment of the teeth, functional chewing, TMJ, and sleep apnea. Our patients range in age from 6-60. We are also a top 1% Invisalign Specialist, with the highest level of experience and expertise and have become the most experienced provider of Invisalign therapy in all of Central Florida. Our routine is similar to a regular doctor routine who is seeing patients and has various clinic duties. The practice has 15 employees which consists of an administration team, a clinical team and a new patient team that work together to provide the best results possible and experience for each patient. I love the variety involved and the creative aspect of producing the best individual results possible for each patient. No two patients are alike. No matter what the patient needs, I am eager to assist them in achieving their best smile possible in a highly efficient and comfortable manner. How do you mentally separate yourself from your job? After leaving the practice at the end of the day, I re-focus my attention and efforts on being the best Dad possible. I spend time with my wife and children which I believe is the best reward that anyone can have. When we all hang out, I am able to divert and focus my attention on them by taking a step away from the practice and seeing patients. My greatest accomplishment is having a successful practice for 26 years and transforming almost 20,000 beautiful smiles. Also, we are considered one of the top 1% providers of Invisalign treatment worldwide. I am very proud of my practice and all of the services that we provide and offer. How do you unwind after a particular stressful day at the clinic? I partake in a lot of athletic activities. I am still involved with a soccer league, which I thoroughly enjoy. I also run, lift weights, swim, play golf, tennis, soccer and dirt bike. I enjoy a lot of outdoor activities because, after all, this is Florida and we can’t help but love the outdoors. Tell us about your Foundation? In 1987, while I was in college, I created a volunteer project for dental students at the University of North Carolina to travel to Mexico to provide free dental care to children in an orphanage. This project known and the UNC Mexico Project is still going strong as ten students from the University travel to Mexico to provide dental care for children in the orphanage and to get experience the culture and treat patients in a third world setting.. In 2010, I started a local project in Central Florida known as Smiles for Hope that provides orthodontic care to children who are homeless, underprivileged or have serious medical issues such as pediatric Cancer in the Central Florida area. People that are interested in receiving care can fill out an online application which is reviewed by a committee and selected for the free dental and orthodontic care services.